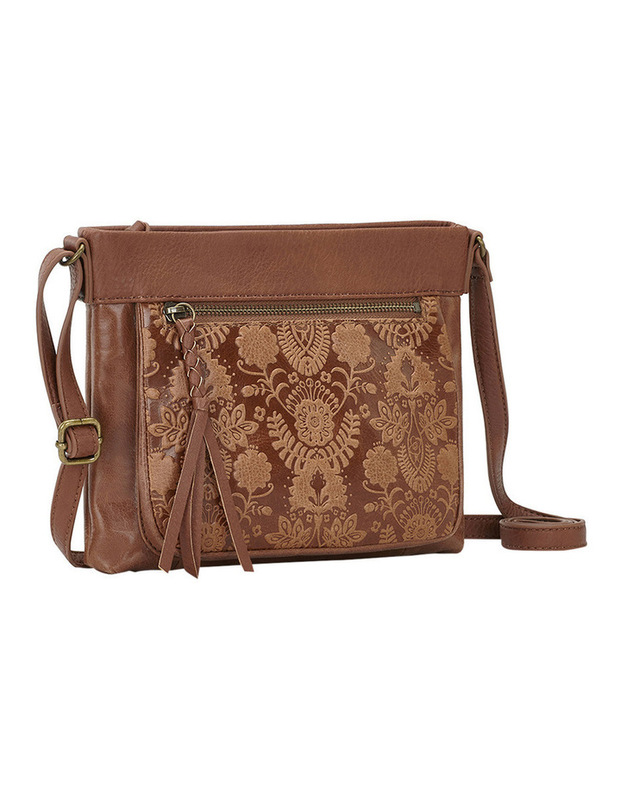 Sanibel Zip Top Crossbody Bag. 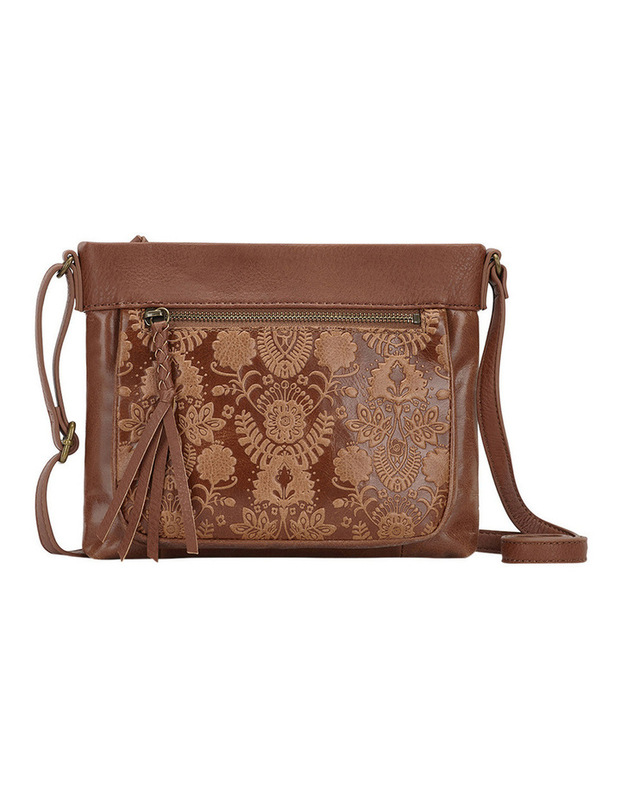 The Sanibel Leather Mini Crossbody has an artisan-inspired touch. It features a unique floral embossed detail, ensuring that no two bags are alike. 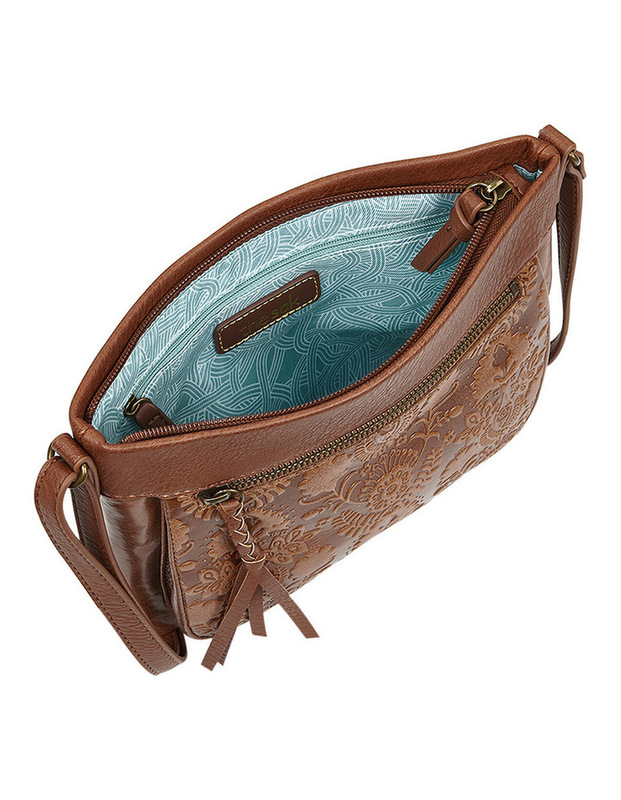 It's the perfect shape for stashing your essentials comfortably throughout the day. Main zipper closure. Front and back zipper pockets. Contains back wall zipper pocket. Front wall contains 3 built in credit card slots. Adjustable strap. Braided leather fringe zipper pull. L 22.8 x H 19.8 x W 6.3 cms - Strap Drop: up to 58.4 cms. 108039TOBFLOEMB.